How To Keep Your Skin Fresh During Fasting. When running fast the body will look dull skin for a while. The skin around the face, feet, and hands is also sometimes scaly though not too severe. This skin disorder can occur because the body is often dehydrated. As a result the moisture from the skin comes down slowly. In addition to making the skin so dry, fasting is actually beneficial to the skin. Fasting regularly will make the skin detoxify. Disorders such as itching and acne can be removed easily. Well, if you want to get the benefits of fasting and keep skin fresh for a month, consider some tips below. When you're fasting and your skin is dehydrated, dead cells will form massively. It is this dead cell that causes the skin to look dull and touched when it feels rough. In order for the skin back soft as usual, do eksfoliasi or removal of dead skin cells. This method is done by melalukan scrub on the skin. You can use scrubs that are already available on the market or using natural ingredients such as coffee. Exfoliation will force the rough skin to peel and change the softer skin. Oh yes, because this way is done by rubbing the skin, do not use scrub material carelessly yes. Can harm the skin if it is to rub the layer is still healthy. 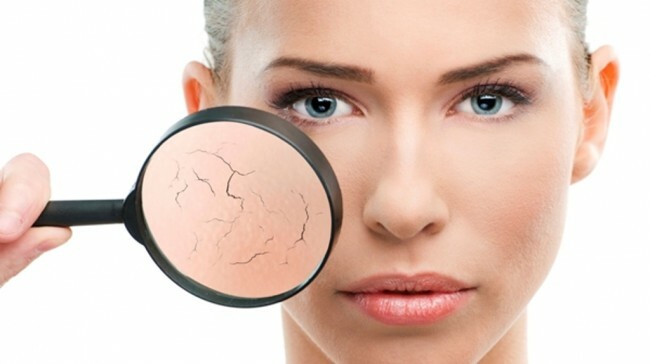 As discussed earlier, one of the causes of dry skin is dehydration. As the body begins to lose a lot of fluids, the skin also starts to decrease in moisture. If you do not want to have a dull skin, do not forget to drink at least 8 glasses of water every day when satisfied. Drink at Sahur as much as 3 cups and the rest can be divided when breaking the fast and before bed. Water will make the body so much fresher and the skin moisture awake well. Dry and dull conditions can be prevented properly. Currently creams that work to moisturize the skin is already in the market. You can moisturise the skin by rubbing the cream on the rough and dry part. If you do not have this cream just use olive oil. With this oil the skin moisture can be maintained properly and properly. Some people suggest to clean the dull face with rather hot water. This water will make the skin die during fasting peel quickly and eventually the new cells can be formed perfectly. Actually washing your face with hot water is dangerous. In fact there is the possibility of making the skin so swollen. Better to use warm steam to help the skin rejuvenate. Dry skin tends to itch when exposed to sunlight. This itching sometimes makes us unable to stand and finally scratch the skin so the itch can disappear quickly. This scratching activity is actually prohibited. Why? Because dry skin is peeling off and irritation or infection can occur when you scratch it too strong. Therefore you can mengompresnya with cold water or given anti-scratch cream. However, do not scratch the skin too strong. If the skin is injured, irritation can occur and the skin may be defective. Of the five ways to prevent rough and dull skin on top, whichever you've ever done before?